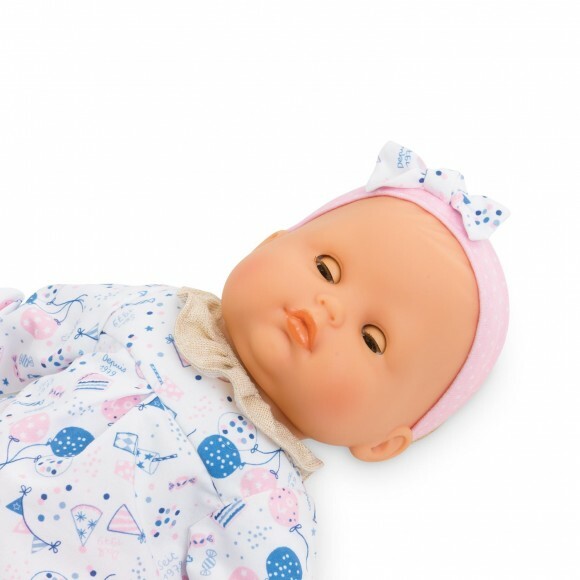 Bébé Calin Madeleine #40yearsCorolle is a 12- inch baby doll - the perfect size for little mommies and daddies to rock and cradle in their arms, designed to commemorate Corolle's 40th Anniversary! 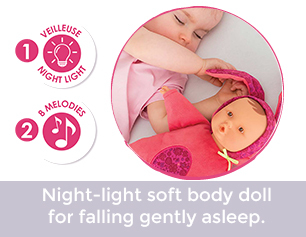 The doll's soft body is posable like a real baby, and its sleepy eyes close when it's put down for a nap or at bedtime, also like a real baby. 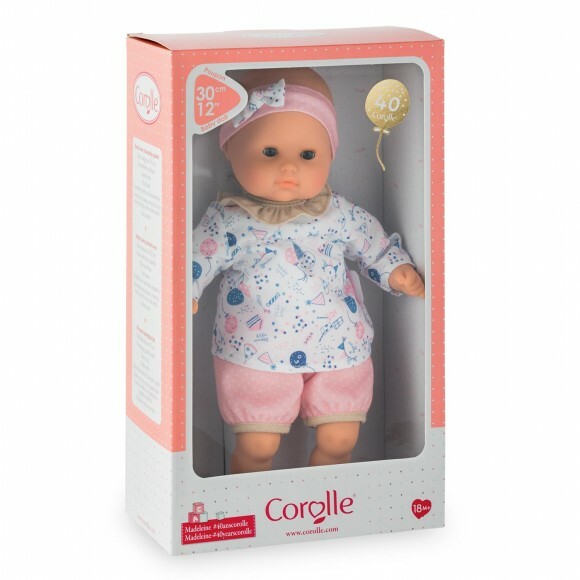 The doll's face, arms and legs are made of soft-to-the-touch vinyl that is delicately scented with vanilla, a Corolle signature. 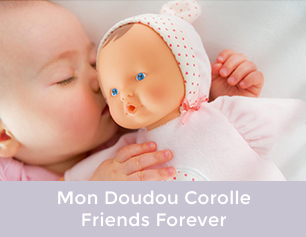 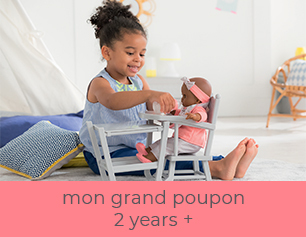 Bébé Calin Madeleine #40yearsCorolle is adorably dressed in a coordinating top and shorts with a matching headband and is part of the mon premier poupon Corolle collection of dolls, clothing and accessories for early nurturing time.